Gold Medal Wine Club has been around for 25+ successful years. 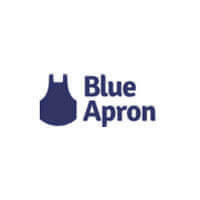 The secret to their success seems to lie in their admirable selection practices and incredible customer support. The wines in their offer are of the highest-quality and often quite rare, which makes them particularly appealing to wine enthusiasts and collectors. In this Gold Medal Wine Club review, we will take you for a tour around their cellars and show you the amazing variety of their offer. The members of Gold Medal Wine Club get to decide exactly what kind of wines they wish to receive and they are truly spoilt for choice. The focus of this wine club’s selection is primarily on award-winning, rare California wines. However, they also feature exclusive, Forbes-recommended imported wines from around the world. They are also proud to bring you the finest handcrafted wines created by independent winemakers, mostly from California, as well as an impressive selection of Pinot Noirs. For members who particularly enjoy sparkling wines, they have introduced a Champagne Special. They carefully select one premium-quality Champagne to be featured in this section. Normally, it is directly imported from France and boasts one or several medals, as well as high rating, usually 92+ points. As you can see, when it comes to the quality of their wines, they absolutely do not expect you to take their word for it. All the wines in their selection have won multiple awards at major competitions and they are highly-rated by some of the most renowned national wine publications, including Wine Enthusiast and The Wine Advocate. 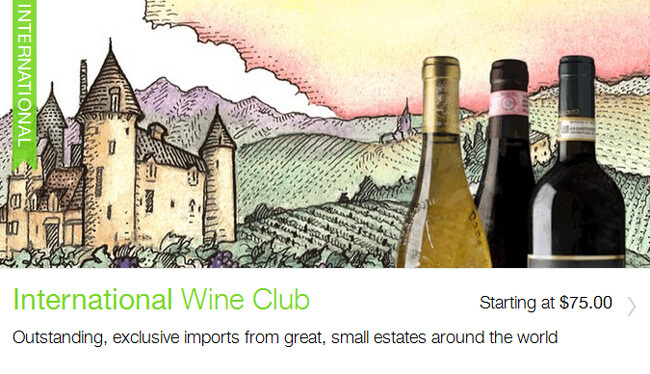 If you wish to order from Gold Medal Wine Club, you should first become a member – it is absolutely free – and pick the wine club of your choice. The make-up of the wine boxes you receive depends on both your preferences and the club you choose. 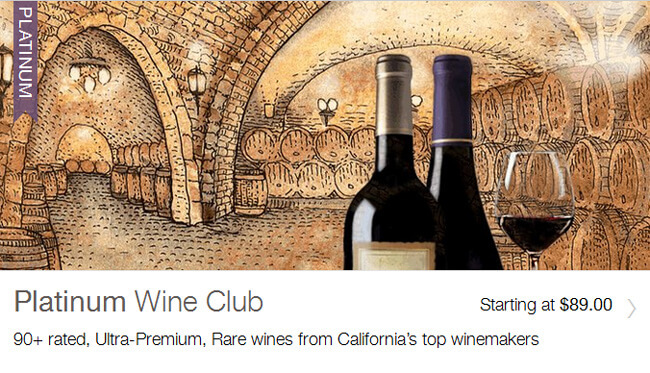 Let us take a look at the 6 wine clubs in the offer and explore their selections. 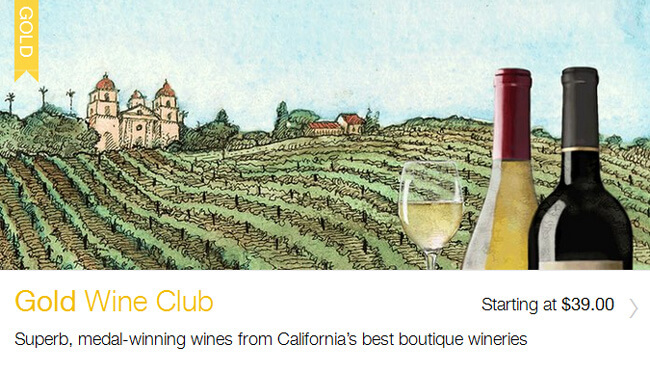 The most popular club, Gold Wine Club brings you medal-awarded wines originating from the top boutique wineries in California. 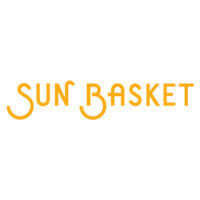 It offers both red and white wines, including well-known varietals such as Chardonnay, Pinot Noir, and Zinfandel. You can order 2 or 4 bottles and choose whether you wish to receive all whites, all reds or an equal number of both. Your delivery comes complete with an interesting publication on wines, The Wine Press. 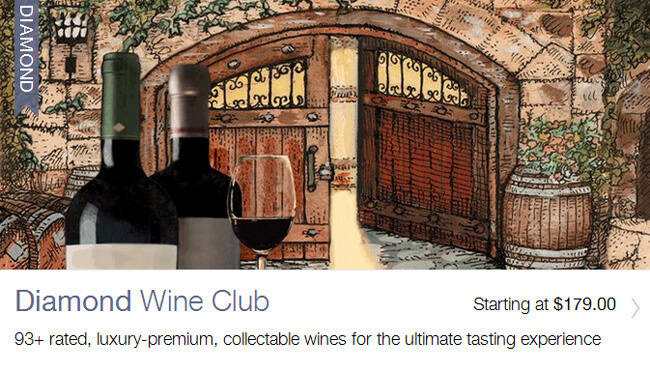 A somewhat pricier and more exclusive selection of wines is found in the Platinum Wine Club. All wines in this club are rated 90+. They represent the premium work of the best winemakers in California. Here you can find some wines that can only be bought by members of Gold Medal Wine Club. The wines are mostly red, including varietals such as Pinot Noir, Syrah, and Cabernet Sauvignon. Again, you can order 2 or 4 bottles, mostly reds or reds only. This wine club is as exclusive as it gets. It is limited to only 500 recipients. It features luxury wines rated 93 points or higher. The deliveries of 2 or 4 bottles of these exquisite wines are only made quarterly due to the rarity of the wines. The wines are almost exclusively red and include the finest examples of varietals like Cabernet Sauvignon, Pinot Noir, Red Blend, and Syrah. Recommended by Forbes, these exclusive imports are practically impossible to acquire outside the origin country. The wines are of the highest quality and include both whites and reds. A different country is featured in each quarterly shipment. You can order three bottles of these fine foreign wines and choose whether you wish to receive 2 reds and 1 white or all reds, with two bottles of the same wine. Particularly designed for lovers of the good Pinot, this club brings you ultra-premium, world-class, limited-production Pinot Noirs, with something new to taste with every delivery. Obviously, all wines are red, as the club offers only Pinots, and you can choose whether you wish to have 2 different bottles delivered or 4 bottles, with two bottles of the same wine. The name of the club comes from the French term for independent artisan winemakers and the club itself is created in honor of these amazing artist-entrepreneurs. The wines are handcrafted, created in limited amounts, and practically impossible to find elsewhere. The wines are mostly red and you can order 2 or 4 bottles every month, including mostly or exclusively reds. The rarity and abundance of the wines this club offers are the main qualities that set it apart. What is also astonishing is how much you get to learn about all the wines they offer and wines in general, for that matter. Apart from giving you detailed information about every bottle, it also has a Resources section chock-full of valuable info. You can learn more about the featured wineries, discover wine regions, varietals, recipes, and ratings. You can also peruse the wine glossary, wine pairing recommendations, and their amazing wine blog. What impressed us most while writing this Gold Medal Wine Club review were the bonus options featured in almost every club. For example, Gold, Platinum, and Diamond clubs offer you the possibility to order a Plus bottle – a rare gem in the world of wines – and discover more amazing, exclusive flavors. On the other hand, International Wine Club lets you order Gourmet Adventure Package, which features regional gourmet treats that go perfectly with the wines you have ordered. This is something you can rarely see in wine clubs and we applaud Gold Medal for their efforts. 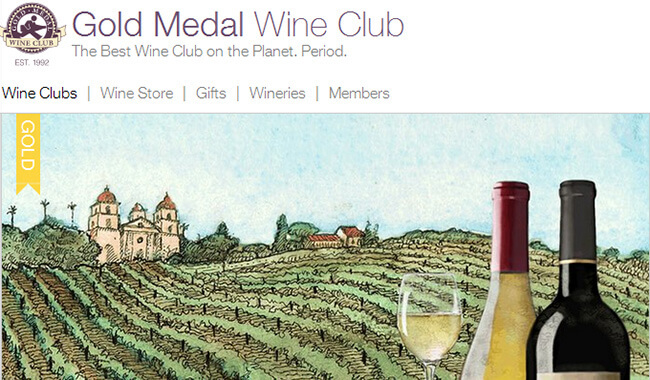 Gold Medal Wine Club also has a great referral program. Whenever you successfully refer a friend, both you and your friend get a free bottle of fine wine. There is no limit on the number of referrals. Pair that with the Rewards Program that brings you greater discounts every time you shop – you can save up to $100 – and you get to enjoy much more wine than you pay for. When you get to the checkout, you can notice the option to send the order as a gift. That means that whatever you are having, your friends can enjoy too, as a thoughtful gift from you. To make things even sweeter, Gold Medal Wine Club adds a free personalized gift card and free organza cloth gift bag to your first gift delivery. 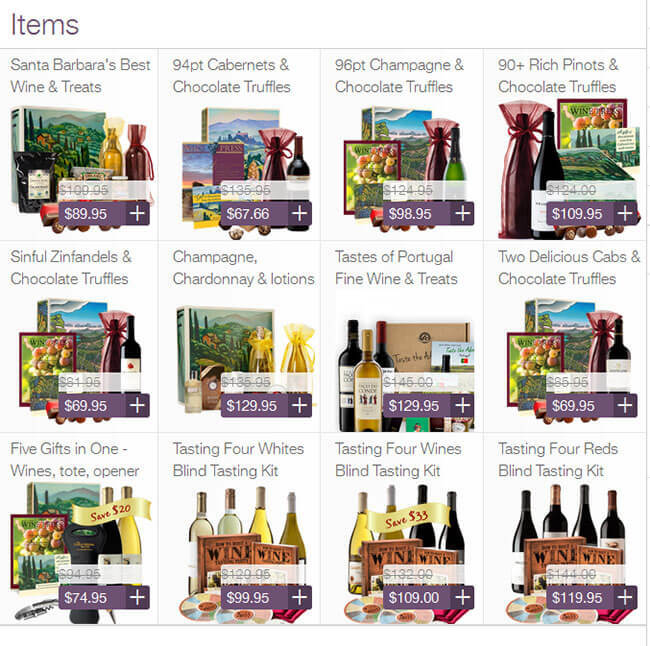 Apart from wine, Gold Medal lets you send various gift sets and wine accessories that are perfect for any wine enthusiast. You can send sets of wines and treats, champagne and chocolate truffles, and tasting kits, as well as wine totes, adventure packages, cookbooks, pairing guides, and more. There is truly something for every wine lover here. Becoming a member of the Gold Medal Wine Club is completely free of charge and there are no cancellation fees, you can leave anytime. What is also great is that by joining the club, you automatically get 40% off the winery retail prices, which is quite a lot. You can opt for a subscription that lasts until you cancel it or limit your subscription to 1, 2, 3, 4, 5, 6 or 12 shipments. The 12-shipment subscription comes with a gift that varies depending on the club. Gold Club members get 10% off and a free gift box, Platinum, Garagiste, and Pinot Noir club members get 5% off and a free gift box, International Wine Club members get 5% off while Diamond Club members get a free cork binder. Gold, Platinum, Garagiste, and Pinot Noir clubs offer monthly, bi-monthly, and quarterly deliveries and Diamond and International clubs only ship quarterly, due to how hard it is to acquire the wines in their offer. The prices of deliveries depend on the club and the kind. If you order all reds, you pay more than if you order both reds and whites. Every club lets you order 2 or 4 bottles, except for the International Club, where the only option is to order 3 bottles. The Gold Club charges $39 per 2 bottles and there is a 10% discount on 4 bottles, so you get them for only $70 or $71, depending on your choice of wines. The Platinum Club charges $79-$99 or $89-$109 for two bottles, depending on the kind, and gives a 5% discount on 4 bottles, so they cost $158-$198 or $178-$218. The prices at the Garagista Club are $65 – $85 or $75 – $95 for 2 bottles and there is a 5% discount on 4 bottles, so they amount to $122 – $162 or $141 – $181. 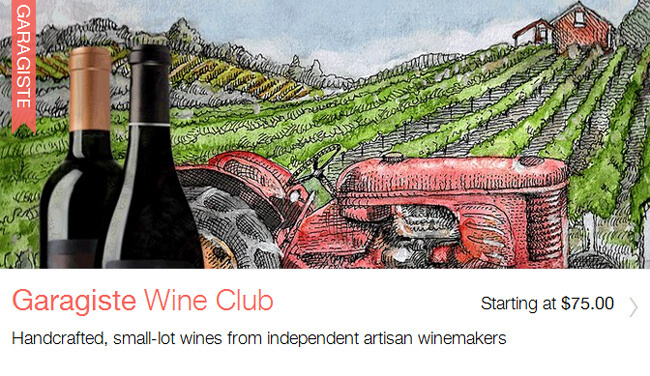 The Pinot Noir Club charges $69-$79 for 2 bottles and $138 – $158 for 4 bottles. The Diamond Club charges $165 – $195 for 2 bottles and $313 – $370 for 4. The International club charges $65-$85 for three bottles of red and white wines and $75-$95 for all reds. It is important to note that shipping is not included in the price. What is surprising is that the shipping costs are not stated on the website, so you can only find out how much you have to pay for shipping by talking to their customer support, as the shipping costs may vary depending on the location. The people behind Gold Medal Wine Club work hard on making their customers happy, which is why it is no wonder they offer numerous ways for you to reach them. You can contact them via phone, fax or email or send your questions and comments directly through their website. Their answering service is available from 5 pm till 8 am PST every day of the week. You can also make use of the live chat, where their friendly staff is ready to promptly answer your questions Monday to Friday, from 8 am until 5 pm PST. All in all, whenever you decide to contact them, one of their services is available to quickly resolve your problems and answer any question you may have. To make sure Gold Medal Wine Club meets all your standards and expectations, it is important to know its biggest advantages and disadvantages. With a short overview of its pros and cons, you can easily decide if Gold Medal Wine Club is the right company for you. Gold Medal Wine Club is definitely one of the best wine clubs around, with an incredible range of wines, gift options, and order customization possibilities. Their wines are of the finest quality and most of the time, they are so rare you can hardly find them anywhere else. Gold Medal never includes bulk wines, private labels or close-outs in its selection, which is part of its charm and a guarantee of quality. Apart from the 40% off the retail prices you get by joining, you can also make use of various discounts available in most Gold Medal clubs. The only problem is that the prices vary and they do not state the shipping costs on the site, so the price of the delivery may vary too. However, we still find Gold Medal Wine Club to be one of the best options currently available. Our ratings are the result of an objective and independent evaluation of Gold Medal Wine Club, generating the final rating that reflects the overall quality of the company. Ratings may change as the service changes. Gold Medal Wine Club customer rating based on 4 customer reviews. Such lovely people! They have granted every special request I’ve ever made! And the wines – simply spectacular! Honest recommendations! Great wines, but I almost ended up regretting the subscription. Please state the shipping costs in the future. The quality of the wines is a great surprise, the difference in the price – not so much. Subscribed as an anniversary gift for my husband, he loves good wine. He was absolutely thrilled! We’re definitely sticking with the subscription. We found 0 verified Gold Medal Wine Club discounts for April, 2019. There are no Gold Medal Wine Club coupons or discounts right now.